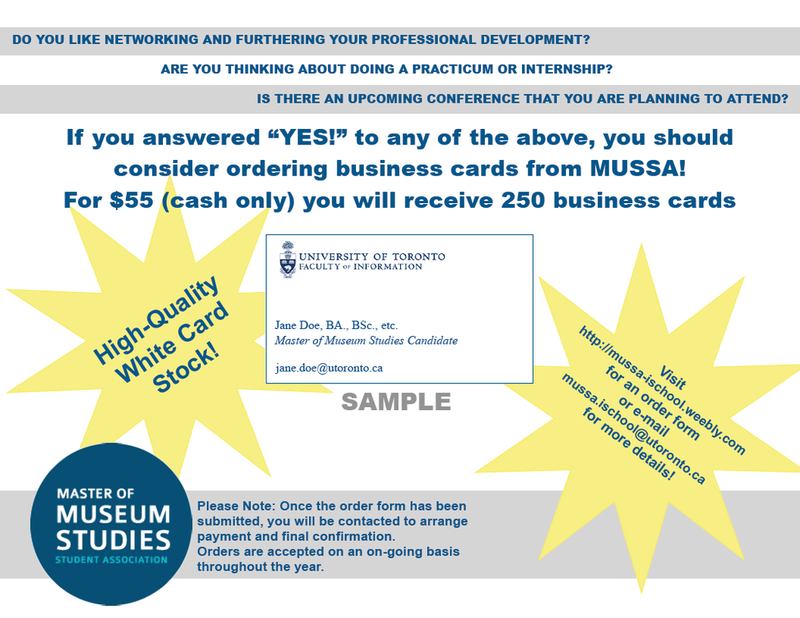 MUSSA is now offering business cards for sale to any current students of the Museum Studies program. Please note that a portion of the proceeds from this program go towards MUSSA activities - we appreciate your support! A set of 250 business cards will cost $55 (cash only). and the student’s UTmail+ email address. If you wish to order a set of business cards, please fill out the form below. Once we have this information, we will arrange to pick up your money and submit the order. Business card orders are accepted on an ongoing basis throughout the year.